Like most things in life, every good intention has an invisible divide that, when overstepped, can turn the positive into a negative, the beauty into the ugly. divide when blessings turn to greed and worship turns to entertainment. It is often just that one step too far. The challenge is in the balance. I recently read this quote from my friend, Mike Burnard of InContext Ministries in South Africa. He has captured something that I have often thought about but could never put so eloquently: that all good things given to us by God, when put through the filter of humanity, have the potential to be corrupted into something they were not meant to be when taken to extremes, taken out of balance, or taken as being "man-centered" versus "God-centered". And while the context of his quote was the recent passing of the international icon Nelson Mandela, and the cult of worship that is potentially developing out of the desire to honor him, Mike's thoughts seemed especially poignant for me this Christmas, when we seem to have to fight tooth and nail through Santa, decorations, materialism, a real war against nativity scenes, consumerism, false expectations, and over-bearing nostalgia, in order to get to the real thing. So many times it is hard to find the authentic behind the noise and the blinking lights, but I have decided that this year I will not settle for less. Keeping the balance is hard, for it requires an alert diligence that is at once able to fully plumb the reality of the moment or season, but at the same time not get swept away by it into idolatry. My prayer for you this Christmas, is that you would find the time to celebrate the "real", and embrace the "true", keeping the balance of family and worship, expectation and faith. Yes, there will be distractions - some of them even necessary. But it will take courage, insight, awareness, and wisdom to perceive, what the Magi ultimately did: that it was worth the effort to stay on course, and cross deserts and despots in order to worship that which was truly worth worshipping, and to celebrate that which was truly worth celebrating. When they laid their tributes of "wealth", "worship", and "burial" at the Baby's feet, I think they got the balance right and set the example of what we should ultimately be giving this Christmas. Yacob was nine years old when he heard that his life was meant to be fully given to God. He was encouraged by a friend to begin to attend a local Mosque, where he learned that the only sure way to get to heaven, was to die in the Jihad. He trained for the war between Iran and Iraq, went off to die, yet even on the battlefield he remained unharmed. When the war ended he returned home, saddened that he did not die a martyr. He married a young woman, and they had two children. He settled into a job, and wondered - "Is this all there is?" Some friends told him his Jihad could continue, if he was to wage it agains the local Christians. And in the midst of persecuting them, he was challenged, "Why are you doing what you are doing?" 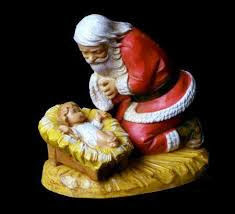 He responded to the infidel, "It is to please God and obtain eternal life." The Christian lady he was persecuting began to explain to him the difference between a Muslim Martyr, and a Christian one: that a Muslim Martyr is usually killed whilst killing infidels, while a Christian Martyr is killed while sharing Christ, even the message that we are to "Love our Enemies". Then she said to him, "My book tells me the only way to that is through Jesus Christ." This impressed him, but haunted him as well. After a bit of time, Yacob was informed by his doctor that he had a bone disease. Walking home, he was in deep despair, and for some reason unknown to him, he remembered the words of the Christian he had been torturing. That night, he made a daring grasp: he prayed to be healed in Jesus name. Instantly he felt the release, and knew in his heart he had been healed! On his next checkup, the doctor was amazed - Yacob had been totally cured. This convinced Yacob - Jesus must be Who He said He was, and Yacob then got down on his knees, and completely surrendered his life to Jesus. When he told his family, they couldn't believe it - how could this jihadist have fallen so far? His Father-in-law was incensed, and convinced Yacob's uncle to kill Yacob's wife. Finding her murdred, Yacob fled the country, and sought asylum in a Western European nation. His testimony is now used to bring many to Jesus, and especially those trapped in Jihad. Jesus has given him a new wife, and a new family, and he is trying to get his children back who were left behind when he fled. Yacob is fiercely in love with Jesus, and is willing to fully lay it all on the line for Him. I met Yacob in Germany while we were both visiting, and our hearts were drawn to each other straightaway. And even though we are both quite different, we were blessed at where we are alike: both of us have suffered at the hands of father figures, both of us were violent, both of us have been saved by the Son, and both of us have been drawn in and embraced by the Father. Michael heard these words 15 years ago at a teen mission event: "Lord run Your Kingdom through my heart, crucify self, set me apart…" It pierced him, and he became determined to make a difference in his German High School. He started a small bible study amongst his fellow students, and together they began to witness to their friends. It totally changed the focus and purpose of his life. Michael has stayed in the school environment in order to be a witness for Christ, but now as a trained teacher. His focus is still to bring glory to God and serve His Kingdom in all that he does, no matter the challenge or obstacle. 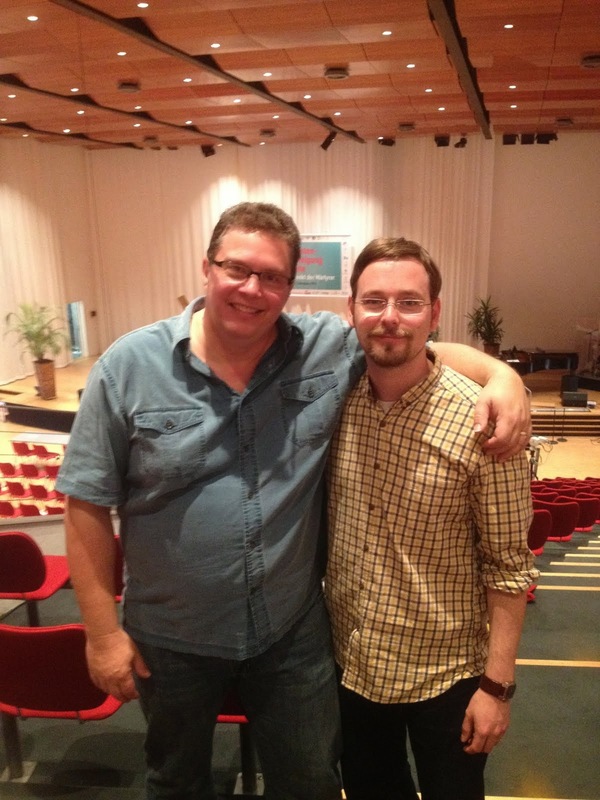 When he heard there was a conference for the persecuted church in Schwabish Gmund, he had to go. But in his own words, he was in for one of the "shocks of his life" when he saw Bill Drake at the grand piano on the stage. Michael approached me after the first session with tears in his eyes. 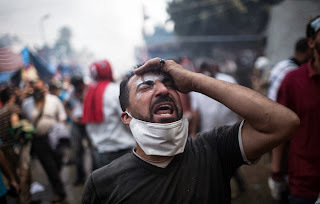 Given the response to the first blog I put out about this, I felt it appropriate to put out this followup - part of an "on the ground" assessment from some "family" members who are directly connected to the on-going situation in Egypt. I want to thank you for your continued prayers for Egypt, and our brothers and sisters there. I also encourage you to read the larger article, share it, and continue to mobilize prayer. Thank you. With many news reports offered from many different angles, most people are wondering what is really happening in the heart of the Arab World. Is the Muslim Brotherhood the victim or the aggressor? Is the Egyptian military a peace- keeping or peace-destroying force? And what media is to be believed and trusted - the Al-Jazeera story of a victimized Muslim Brotherhood, or a Fox News story of a compassionate military under attack? Once again, we find that every point of view is a 'view from a point'. The simple truth is that all 'realities' in Egypt today are rooted in personal perspectives, and every perspective is as subjective as the 'reason' for the latest protest or violence. Every cause is justified by the beliefs of the individual holding the weapon. However, we can trace some common threads in the views expressed by Egyptian Christian leaders, and these aid our understanding of the current situation. The following article offers some observations gained from interviewing a number of Egyptian leaders in recent days, asking for their input as we attempt to gain a Biblical perspective of these significant events. Everyone agrees that the current situation in Egypt will present the Church – in Egypt, the Arab World, and possibly the world – with one of the greatest opportunities of this generation. Many Muslims are undoubtedly questioning their faith and Christian scholars predict that this could be the beginning of the end of Islam. One leader explained that if all the Christian leaders across the globe had met together with the goal of exposing Islam to its followers, they would not have been able to plan what God has initiated. Never before have so many asked so much about a faith that has oppressed so many for so long. Now is the time for the Church to recognise the opportunities that God is presenting. "If they burn all our churches then we will pray to Jesus in your mosques, but we will never do to you what you are doing to us" (the response from a Coptic leader after the attacks on Egyptian churches). "You spray us with water guns but we will spray you with blood" (the reaction of a Muslim Brotherhood leader when they were attacked by the military). At the same time, Egyptian Christian leaders also agree that Christianity is not necessarily the 'answer' that many doubting Muslims want. Currently in Egypt the natural consequence of questioning Islam is an embracing of atheism. No statistics are available but the general observation is that many Muslims become secularists and atheists in response to their disillusionment with their religion. Another concern amongst the leaders interviewed is the fact that Muslims who do embrace Christianity currently face countless challenges. "When I hear statistics of hundreds or thousands of Muslims coming to know Christ, I want to cry," one leader said. "Not tears of joy but tears of frustration. First of all, based on what we see on a daily basis, the numbers are exaggerated. But even more important is the fact that those who share the statistics of revival seldom care for those who struggle for survival. Who takes care of them, who shelters them when their families kick them out? I am currently caring for three young girls who accepted Christ and they are barely surviving." In reviewing some of the key elements surrounding the sacred and priestly task of leading worship for some of our young budding worship leaders on OM's Ship Logos Hope earlier this year, I was pondering the dire necessity for the Christian virtue of Brokenness. This has been especially brought home to me as our Egyptian brothers and sisters in Christ are being martyred. Brokenness identifies us with Christ, Who is the true worship leader, and was Broken for us as the ultimate living sacrifice. Brokenness identifies us with a crushed world. 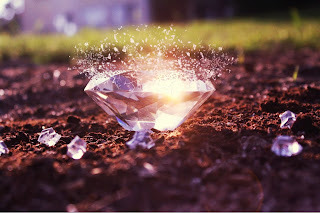 Brokenness is one of those common denominators that connects us to all that is relevant in worship - God says that He will only draw near to a humble and contrite heart. I am also pretty convinced that you can't have true authenticity without it. Brokenness does not fit easily into a "western-impacted" theology that has mixed physical and tangible success along with a pragmatic economic to produce a prosperity-influenced apologetic which basically equates financial gain with God's blessing. to deny our dependance upon God. Utter Dependance is the truth about our standing in reality. Independence is a lie, and it is the enemy of the church and of the Christian. I would normally not do this, but given the fact that people are dying as I write, I thought that for you who read my blog, it would be helpful to hear about what is going on, from followers of Christ who are in the middle of this, and to ask you to please pray (and organize prayer), as these Egyptians Christian Brothers do, at the end of this article. Many of us involved in Christian ministry in Egypt are appalled at the misunderstandings about the situation in Egypt being propagated by even normally balanced international media like the BBC, and the way it has, in general, portrayed the Muslim Brotherhood as the victims of injustice. Yes, former President Morsi was elected "democratically" in June 2012, but only by the slimmest of majorities, and only 13 million people (out of a total population of 83 million) voted for Morsi at all. And yet he took this as a mandate to do as he wanted, with a winner-takes-all attitude. His new government was not inclusive and he quickly appointed former Muslim Brotherhood leaders (some with previous convictions for violence or incitement to violence) to serve as regional Governors or government Ministers. In November 2012, he illegally gave himself new sweeping powers to act without censure, and rushed through a new pro-Islamic constitution despite the protests and boycotts from liberals, moderate Muslims and Christians, and then he refused to call for new elections - as had previously been agreed to do after a new constitution had been adopted. And, of course, the economy was very poorly managed by the new Ministers, whose only apparent qualification for office was the fact that they were Muslim Brotherhood loyalists. By the end of 2012 the country's infrastructure had begun to fall apart, electricity and fuel supplies became unreliable, prices for basic commodities soared and Egypt struggled to get much needed international financing. By June 30, 2013, on the first anniversary of Morsi's election to office, the Egyptian people had had enough! Perhaps as many as 30 million people came out to demonstrate against Morsi continuing in office - this included many who had voted for Morsi a year before and, even if the figure of 30 million cannot be independently verified, it is clear that the number of people on the street was far more than the number of people who had ever voted for Morsi. But, unlike the President of any normal democracy, he refused to go, or even seek a renewed mandate through new elections - confirming to many that the Muslim Brotherhood were just using the new democracy in Egypt to establish a theocracy. In a situation like this, the last line of defense for democracy is the army. They alone have the power to re-start the democratic process and, by (very) popular demand and with due notice, the army did step in and remove the former President - to the absolute delight and relief of MOST Egyptians! In the past six weeks the Muslim Brotherhood has occupied a number of public spaces, to demonstrate for the reinstatement of the former President (currently being held by the army and facing charges related to abuse of power, including substantial material and intelligence support to Hamas). Unlike the peaceful occupation of Tahrir Square by demonstrators in January 2011, and again at the end of June 2013, these Muslim Brotherhood occupations were dominated by calls for violence against the army, the police, the liberals and, specifically, the Coptic Christians in Egypt - all resulting in the violence witnessed on August 14th, when police stations, hospitals, private and public property were destroyed. Many Christian churches (at least 40 so far), homes and businesses were also attacked, as well as a monastery, three religious societies, three key bookshops belonging to the Bible Society in Egypt, three Christian schools and an orphanage. The Coptic Orthodox Pope, HH Tawadrous II made a statement about the attacks on churches this week, saying that "this had been expected and, as Egyptians and Christians, we are considering our church buildings as a sacrifice to be made for our beloved Egypt". Other church leaders have made similar statements, stressing that church buildings don't make the Church but the Church is the Body of Christ, made of people who have their faith in Him, and that is getting stronger as it passes through these challenging times. It is also important and encouraging to note that some Muslims went to protect churches and that, in return, many Christians then sent messages to their fellow Muslim citizens saying, "Buildings can be rebuilt again, but you are priceless, so stay safe, and don't worry about the churches". And the Egyptian government also announced today that the State would take the financial responsibility for the rebuilding of damaged churches. The Muslim Brotherhood have been, and remain very effective in portraying themselves as the victims to the media, pointing to how Morsi had been "democratically" elected and that the army "coup" was a major setback to the country's democratic progress. They have known what buttons to push with the Western press and this seems to be the version that most of the World is hearing - but it is not a version of truth that resonates with the vast majority of Egyptians. And, while the loss of life these past few days has been most regrettable it has not only been Muslim Brotherhood supporters that have died, and there has been scant reporting on the Muslim Brotherhood's attempts to destabilize Egypt, its calls for violence against the government and its supporters; and there has been a total lack of reporting concerning weapons that the Brotherhood had in the camps and used against the army as it sought to dismantle the sit-ins. In closing, can I ask for your prayers for this important country - the largest in the Arab World, with the largest Christian Community in the Middle East. 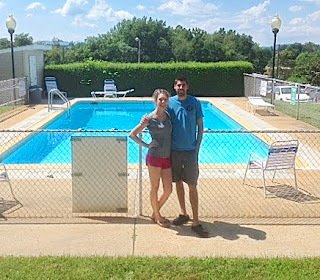 Teri and did something the other day we've never done before: we moved our daughter Sharayah and her new husband, Bence, up to Lynchburg, Virginia. After 10 hours of driving, we decided to immediately start unloading their U-Haul Truck in the cool of the early morning hour of 1:00am, toting an assortment of furniture, going up the stairs countless times, discovering muscles we had forgotten were even there, spent the night exhausted in their new apartment, woke up, did some more moving, and then left! We collapsed for three days down the road in Charlotte, North Carolina, making low moaning noises, and soaking in a hotel swimming pool. Granted, three years ago we moved her to Liberty University about this time, and it was extremely emotional - facing the fact that our youngest child was now growing up and entering college, and that our little girl would be 8 hours away in a different state, and at a very large school. What we may not have fully grasped at that time, is that we too were being asked to "grow up". Many people struggle with this season of life - it even has a diagnosis: The Empty Nest Syndrome. And fair enough, you invest 18+ years in your children through blood, sweat, and tears, and then you have to stand back, let them cross the road on their own, and cheer them on. This road, from nurturer, to teacher, to coach, to mentor, to cheerleader (and then consultant, when they have kids and realize they don't have all the answers anymore! ), is all part of a progression God has set in motion when He invented family - guaranteed - your role will change. And this goes back to the age-old truth - that our lives should be so much more defined by who we are, and not by what we do. Otherwise, we get lost in the backdraft. OK, OK, those of you who know me well, know that when it comes to things like "Spa", I am not a frequenter of such places, nor one who is well versed on the world of things related to them! I hate to admit it, but I don't know how to "relax" real well! In defense of myself (NOT a good place to start, I know! ), I love what I get to do - serve Christ in the capacity of the giftings He has poured into my life, which includes the experiences He has allowed, and the places He leads. That I am radically addicted to the Kingdom of God is not in doubt! What may be in doubt (!) is if I have a thorough understanding of the word 'Sabbath'. Or a well developed understanding of the fuller biblical understanding of the word: Rest. Which is why God has put some very special people in my path from time to time. One of those is my manager in South Africa, Helena. We have been partnered together now for 20 years, and the ministry has taken us to almost every corner of South Africa, and into Namibia as well. Tens of thousands of people have heard the Gospel, as well as the exhortation to repent, get involved in world mission, and forgive to get freedom. It has literally been one of the highlights of my entire ministry life. 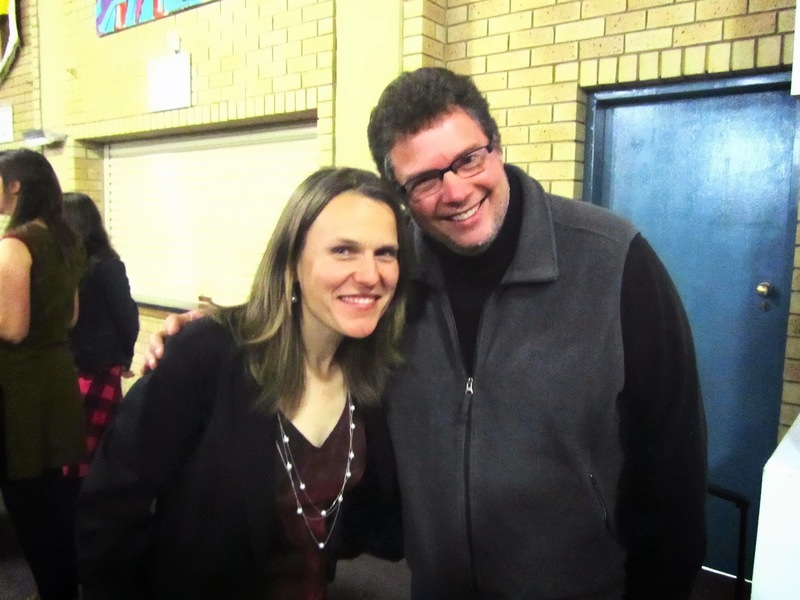 South Africans are very special people, and I cannot say enough about doing ministry there. 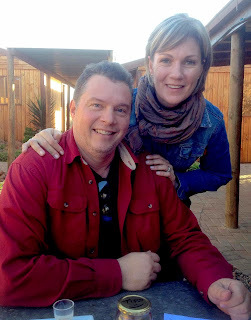 On this last tour to South Africa, amidst a very busy schedule, and coming off a 16 day tour in Hungary and Serbia, Helena had the idea, and I had the opportunity to be ministered to - in the form of a gift: to go to the Copper Leaf Spa in Bloemfontein. It is run by Lynette, and even though it is a business, I can attest - it is a ministry as well. The moment I walked in the place I was being blessed. And the sensation of those hot rocks on my tired shoulder, arm, and back muscles was something I won't forget. I left the place refreshed, and a slightly more renewed understanding of the Peace that passes understanding - that it is OK to be quiet, still, relax, and let someone else minister to you. Thanks Lynette. Thanks Helena. And Thank you Jesus! One of the most inspiring moments of my latest South African Tour came on a Thursday morning at Hoërskool Sentraal, in Bloemfontein. But this morning, during the assembly, I had chosen to tell the story of my mom's funeral, the first time I every heard worship, and the prayers of a dying mother that have now been answered. We also presented the song that I have written about this, called "There's a Place of Immeasurable Blessing", off the Broken & Complete CD. All 1,000 students were on their feet. Here's how one of the students explained it to me after the chapel: "Well, during your song, after you had invited us to sing with you, two young women just stood up in the middle of the hall, ignoring the spectacle others might have thought they were making of themselves. The reaction was immediate, as many others then stood with them in an attitude of dedication - deciding against peer pressure, and taking a stand in worship. Over the course of a minute, the entire hall was standing up - sure, some of us now standing in the peer-pressure of the moment: to appear to NOT stand in respect and worship of the God that was being honored in that moment." The Principle, a gracious and godly man, came up afterward, tears, emotional, and so encouraging. He expressed that in his many years at the school, he could not remember a more powerful chapel - it touched him so deeply, and he implored us to come back again someday. I finally got to hear from one of the girls who first stood - and she explained that in that moment, in that space, God was so holy, so awesome, so worthy of adoration - how could she not stand? I don't know about you, but I like Pumba's character in the Lion King. 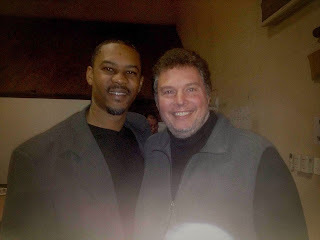 Funny, affable, just an all around great guy. 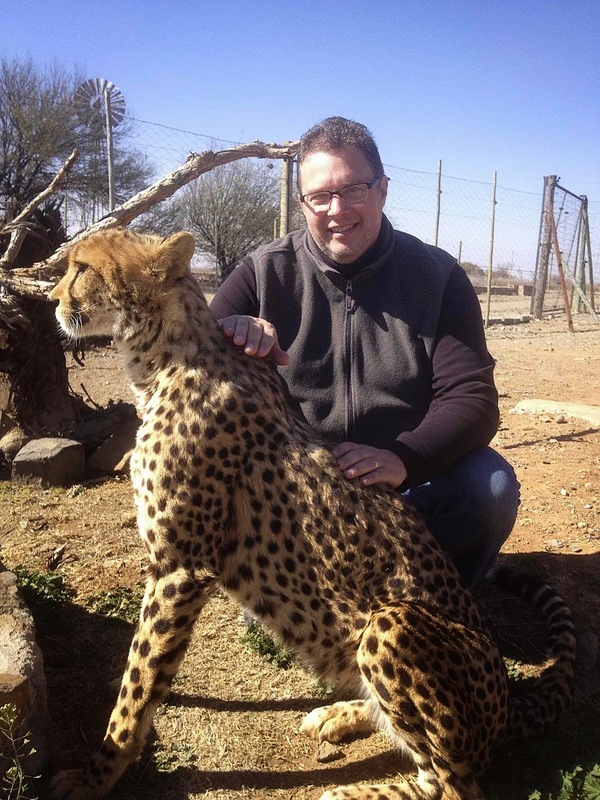 "Hakuna Matata - such a wonderful phrase..."
Well, after a very hectic few days of ministry, my South African Pastor friend, Danilo, was asked by my manager, Helena, to give me a "day off" with "no worries"! Danilo is from Kimberley, South Africa, and his wife Suzette, and awesome family Simonae and Dianlo, basically lavished on me a "death by hospitality" experience. This included Danilo's version of a "no worries day off" - visiting a very cool farm with large, predatory cats, and then off to shoot a Wart Hog. Wow. I thoroughly enjoyed the large Cats, especially the Cheetah and Caracul. They are amazing creatures! 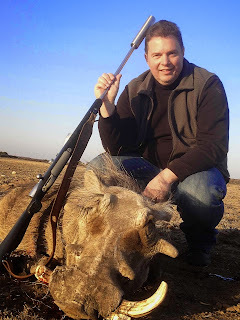 And FYI, I didn't shoot the Wart Hog - Danilo did, and he field-dressed it on the spot, and gave the meat to some of his African work-mates. By the way, the Wart Hog no longer has any worries. Sometimes you have to lose something to gain something too! One of the hazards of living out of a suitcase for a month is the fact that things you normally have time or facility for, like a haircut for example, can become a bit more inconvenient, or at least out of your comfort zone! Fortunately I have a manager in South Africa who knows how to quickly organize such things! Alyssa is training to be a hairdresser. And I hadn't had a haircut in 4 weeks / things were getting a bit wooly! She started by asking me if I wanted a number 1, 2, or 3. I chose 3, and out came the trimmer. BUZZ. Wow. A few more skillful cuts with the clippers, and voila - job done! Pruning seems to be a truth in the larger remit of the Kingdom - it is necessary to keep things from getting out of hand. I mean, things grow. And things left to themselves and unattended rarely or never get better - they either corrupt, become unruly, and then deteriorate. Hence the discipline of pruning. 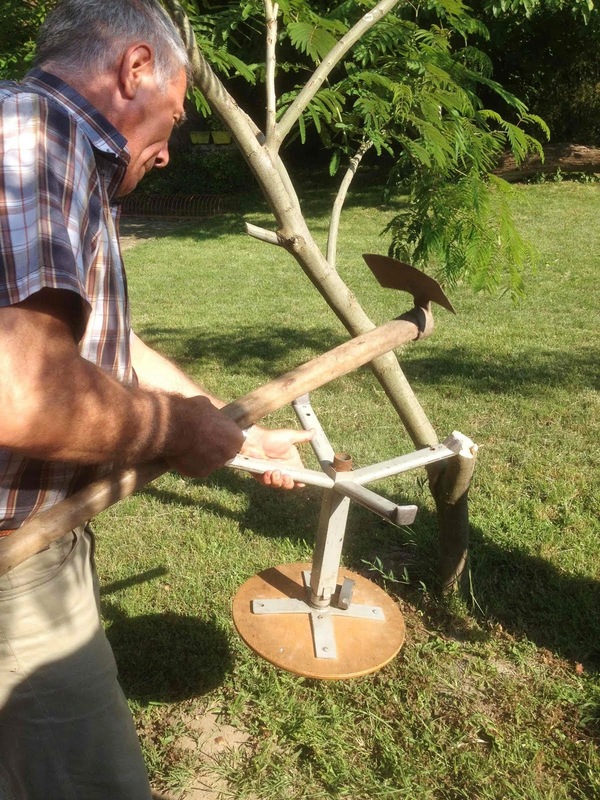 Any good Orchard keeper will tell you that unpruned trees don't produce near as much fruit as pruned ones, and are much more prone to disease and branch- breakage than trees that are properly pruned. Hairdressers say the same about split ends and unwashed or unconditioned hair, but being a man, I'm not near as up on that as my wife and daughters, who could most likely lecture on the subject! But I do know, that as with many areas of life, godly discipline is a healthy thing that keeps things from growing out of control and from making a mess, whether its politics, economics, spirituality, stuff in my garage, or on my own body! 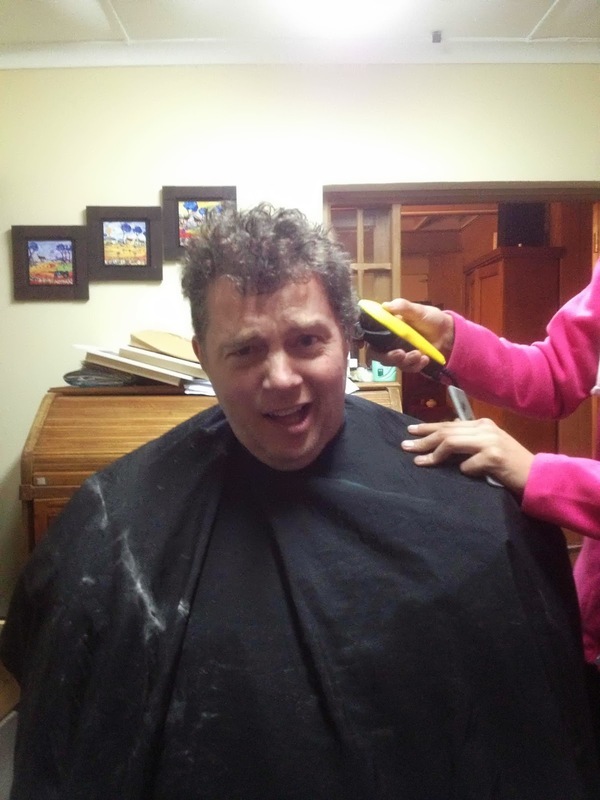 I am fascinated that a chore as simple as getting a haircut can remind us that we probably need to regularly do a "pruning inventory" - what needs to get trimmed off so that I can reduce the clutter in my personal, my physical, and my spiritual life? It's a discipline well-worth the engagement, as it will make much more room for fruit in the long run. This is one of the many parts of touring that are quite unglamorous - right up there with keyboards breaking, and 3:00am wake up calls! Harry and I got it fixed, while Helena and Benjamin (their 9 year old son) waited by the fence in the brush. It's in a part of South Africa called the Karoo - WIDE open spaces man. Wow. 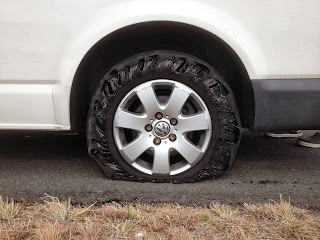 Then we found out later from our sound equipment provider, Rocco, that there were an inordinate amount of flats on that section of motorway, and the local authorities believe it might be the work of a local tire company in need of some extra business. Hmm. But the first item of importance in a world full of "bad things that happen", is: how will you respond? Freak-Out? Get cynical? Become despondent? In fact, if you think about it, it's the ONLY thing we can control - how we respond. Truth be told, this is probably one of the best definitions of worship I think I've ever heard - "a proper response to God". Of course then comes a million definitions of "proper", but suffice to say, Micah 6:8 is a good place to start! Harry and Helena responded great, took it in stride, and we were on our way. Paulus came home from work and found that Donnie had hung himself. Donnie had been sexually assaulted by boys at his school, and had returned home, incapable of handling what had just happened to him, and decided to end it. Paulus was a paramedic at the time, and reckoned that Donnie had been dead for at least 20 minutes. He cut him down, called for an ambulance, and began CPR. Believing in his heart that his son was dead, Paulus could not bring himself to stop CPR, and in his own words "received the shock of my life when the dead breathed." Donnie came back from the dead. Today the loving family open their home to visiting ministers, guests, etc. who minister in Fishoek Baptist Church, and it was such a blessing to be at the receiving end of their hospitality. Bernice should open a restaurant the food was so awesome, and Paulus could not give me enough hot chocolate, coffee, cake, etc., whilest sitting me in front of his warm fire, and blessing me with his company. Donnie is unfortunately impaired from the lack of oxygen to his brain for so long, but dutifully helps his father around the house, and in the garden. He welcomed me quietly, and took my suitcases from me with strong arms. He gets up early every day to read his bible, and on Sundays always puts on a jacket to go to church. Solid and faithful, he was a true blessing. All of us have a story. All of us who are in Christ are a resurrection underway, as the Lord changes us from Glory to Glory, and renews our minds, soul, and spirit. It was a blessing to intersect these precious lives, and be blessed by them, especially when I thought I had come so far to bring a blessing. "I'm in Missions because of you!" And now to one of the most awesome countries on earth, South Africa! I have had the privilege of being here 20 times, and am so blessed to be here again. The main reason from coming was an OM Senior Leadership conference, hosted by a number of OM Leaders in South Africa, including Reinhold Titus from Namibia. It was such a blessing to be with him, and that got even more special when he told me that one of my songs had a big part in him getting into Mission. That song, Haunting Eyes - was my first ever missions song. I wrote it in Mexico back in the 1980s, and recorded it the first time on an old cassette called "Living in the DMZ". More recently is has appeared on "Seasons & Souvenirs", and my Missions Compilation CD, "Send Me". Reinhold told me that it was while listening to that song, that he made the final commitment to the Lord to commit his life to world mission. At the end of the conference, I met Dodo from Switzerland - who proceeded to introduce herself to my by saying, "I'm in missions because of you!" I had done a bit of ministry at a Christian Arts School on the Boden Sea a few years ago, and remembered wondering if it had made any impact. Well, watching Dodo lead around 40 students from the OM South Africa Training Program in an awesome musical showcase left me with no doubt - this young woman was "bringing it" in a big way here in South Africa! And I literally just got this from her in an email - SUCH a blessing! T'was really cool to meet you! wow… that is already a week ago! Keep up your amazing ministry, cus that is what God used to call me into missions :) Thanks again for that! I then flew down to Capetown to start the tour, marveling at how in just a few short days I had been so blessed to see fruit from sowing ministry in years past - that a young Namibian and a young Swiss are now in Mission and making a huge impact because of obedience in the past. I'm grateful that God allowed me to experience that, remembering that the smallest of deeds is of infinite more value than the greatest of intentions. 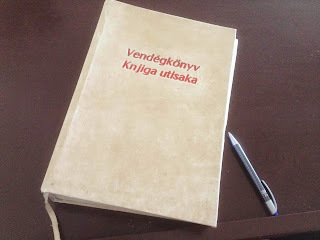 As we were closing our time in Serbia, Zsolti, the pastor who helped to organize much of our tour there, asked me something in Hungarian, and handed me a book. With the Hungarian letters decorating the front of it, and Hungarian and Cyrillic written inside it, there was no way I could have made out what it actually was! And then it hit me - we just piled up some stones in the middle of the Jordan. Memorials are cool things. Firstly, they remind us that "We made it here". I wrote a small inscription on top of Mt. Shasta in Northern California when I was a teenager, the only one of a party of 3 to actually make it. The other two were my dad, and my High School friend and drummer, Dan Wilson. Both have since passed away prematurely. But as humans, there is a sense of accomplishment when we have arrived at a critical destination, especially having travelled so far, or worked so hard to get there. Certainly our tour in Serbia would fit that definition! Secondly, memorials remind us that "We have left something behind". Sure, this can be self-aggrandizing, or gratuitous man-pleasing, but it can also be a legitimate thing - to leave a piece of yourself in a place where you have made great investment, or sacrifice. It was an honor to write in that book for Pastor Zsolti in Serbia, who is obviously making greater sacrifices than we, and yet he extended to us the grace to write in his book - a tool that marks his journey, his progress of life as he lives out on God's altar there in Serbia. But thirdly, and to me so much more importantly, is that memorials mark that "God has done something here". And in that, with our tour in Serbia, there was no doubt. God so worked miracles there, from supplying a sound-system from literally "nothing" for that first venue when our Sound Equipment didn't make it over the border from Hungary, to the "Great Cloud of Witnesses" (See previous Blog-post) who cheered us on as we played for what we thought was only an audience of seven. But nothing compares to the joy in heaven, and the joy in our hearts, that people committed their hearts and lives to Jesus Christ as their Lord and Savior in that short time we were there, and that lasts forever. There's another "Guest-book" in heaven. It's called the "Lamb's book of Life". Only we don't sign it. Jesus does. And he uses a crimson signature. And isn't this, in so many ways, what it's all about on this side of eternity - extending an opportunity for Jesus to autograph lives? As you may have read from earlier blogs, our sound equipment and drum set didn't make it across the Serbian border due to not having the correct paper work. This concert was performed in the back courtyard of a country Baptist church. A very friendly and kind group of people. Here is a commentary on what life is like for our professional drummer, Dave, while on tour with us, and especially this particular evening! "The risk you take as a drummer is you never know what your gonna get! Because its such a physical instrument each drummer is comfortable with his own set knowing it inside and out. I have learned in my 40 years of experience to make the best of what you get. Also, the physical comfort behind the set determines your performance. When the truck with drum set couldn't get over the boarder it required getting different drums. Miraculously the replacement given in Serbia turned out to be more comfortable and well tuned than the one we got in Hungary. It was so well tuned I didn't have to adjust it in any way! In my 40 years of playing drums that has never happened where I could just sit and play without tuning it! 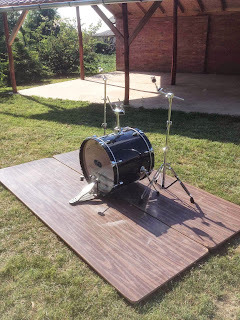 Someone in the countryside of Serbia is a very professional drummer! Either that, or The Lord sent an angel drummer to pre-tune it! After acquiring the drum set, our last performance was on the grass! An absolute nightmare for a drummer in order to maintain balance, as you need a firm foundation much the same as one needs for living life! Without a firm and solid foundation you are constantly shifting and making up for it on un-level ground, and you can't them play correctly The same is true for a Christian walk, and the parallel with drums providing a solid rhythm is just so applicable here. And of course if you don't play right, it messes up all the other musicians, just like a foundation-less life will mess up others around you. The fix for that was putting two dinner tables with the legs folded under! It was further stabilized with bricks securing the bass drum in place so it wouldn't slide forward while being played. 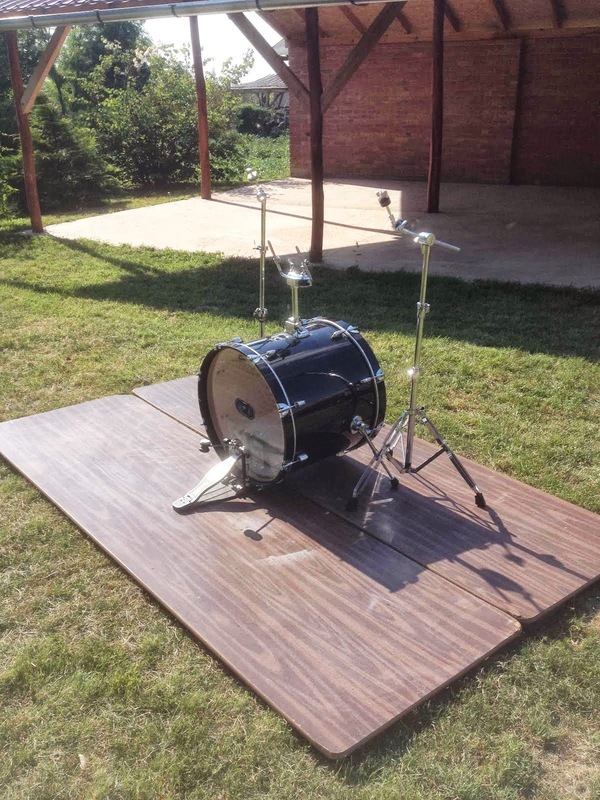 This wonderful drum set didn't come with a throne (seat). By the grace of God the church had an adjustable stool ( unpadded) which had to be adjusted by the Pastor with a few blows to it by using a garden hoe!" Needless to say, the concert went off really well despite all the 'adjustments'! We have been invited back, and God willing, will return to minister more in Serbia next summer! "When I held her, I held Jesus in my arms"
All 25 of us made it through the boarder crossing without any problem. However our sound man and technicians with all the equipment didn't! There was a problem with not having the necessary paperwork. So our host pastor went 'round, and was able to round up a small sound system, an old drum set, old guitar and bass amps, and a few old microphones. One of the mic stands was actually made from wrought iron, and brought a new definition of the term "Heavy Metal". Fortunately, we had brought the electric keyboard and all the guitars with us. The guys in the band didn't flinch. God had our backs in this situation as usual! In fact, of course (! ), God was already there, working!!! We performed the concert outside on the tiny Patio area of the Baptist church, overlooking a grassy area, where our dancers danced. We had people there from small children to older ones In their 70's. There was also an English Language camp led by a group from Tuscalousa, Alabama. Right in the front row were Rita and her mother, Kati. Rita was in a reclined wheel chair and was severely disabled and mentally challenged. She is 23 years old. Her mother had taken care of her alone, since Rita's birth, as it is a full time job. After the concert, Sharayah came to me that we should go to them and thank them for their enthusiastic encouragement in the first row. They were very blessed by the whole message. With some of the Chino Valley Community Church members, Bill Trimper prayed over the disabled girl and her mom who is raising her alone now for 23 years. Wow. We gave them a CD of Bill Drake - Broken & Complete, and this girl was holding it so tight I thought she breaks it. When we were saying goodbye, Teri told me to ask if they need help putting her in the car. The mom gladly took advantage of my offer, and we escorted them to their car. I lifted Rita out of her wheelchair and put her in the car. Her mom was so thankful. She said, "You just saw her first time and your instict was to come to her and not only talking to her but helping as well. Not every christian do that. Thank you so much. What a blessing to have a mother-in-law who tells you sometimes what to do in the moment." We talked with Kate a little more, and Sharayah encouraged her. I believe one of the highest thrones in heaven will be for moms like who serve 24/7 hardly ever complain. She said she is ministering to others through her situation. Well, she ministered to us for sure. I don't know what is your ministry, but seems like in Serbia, Kati has her own "NGO" called "Being a Mom". As she is a full-hearted mom laying down her life for her disabled daughter it is deeply moving. Thank you God that we get to experience what it means to dying to ourselves in an even more sobering way. Thank you that you have one of the highest thrones for these wonderful moms. God Bless all the moms! When I shared with her that one of the highest thrones are waiting for her in the kingdom of heaven and that we will dance and run around with her daughter on the new earth, she was so really encouraged! 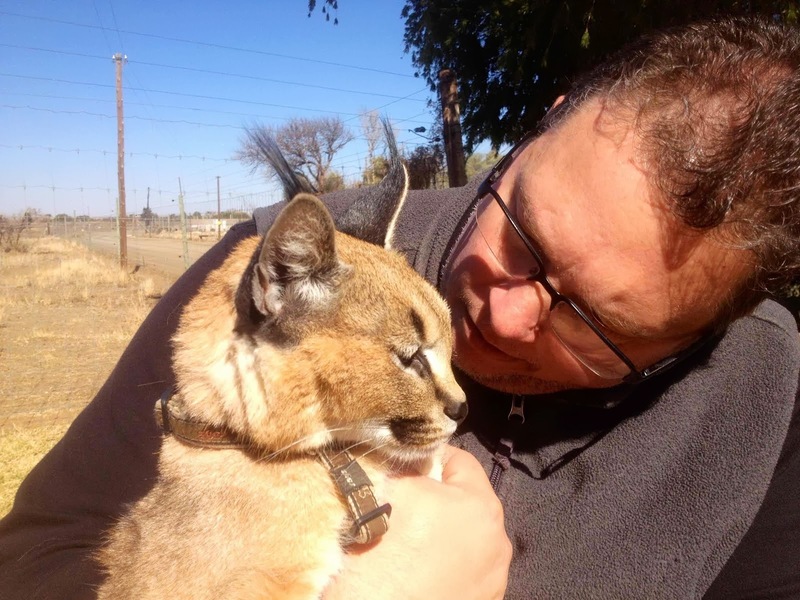 But God had spoken directly to me as well - when I held Rita in my arms, I was holding Jesus. Carla (one of our dancers) had a conversation with two teen girls after the concert. She shared her testimony, and dispelled the myth that because we were Americans we had it all together such as good families, money etc. She then asked the girls about their lives here in Serbia. When the conversation turned to spiritual things, Carla ask the girls, that if they died today, would they go to heaven and be with God? One girl knew she would go to heaven and the other girl didn't. After Carla explained the gospel, the girl prayed and surrendered to Christ. Nicki, and Attila surrendered to Christ. The concert was an incredible testimony to God's provision and faithfulness, that although we did not have our equipment (sound system), it didn't matter. 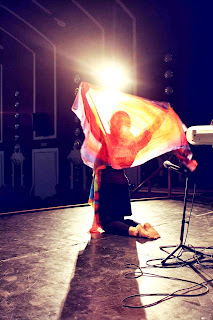 When all the props get kicked out, and all you have is your voice, or your hands, you can still testify to the greatness and goodness of The Lord through whatever means. Serbia is a very, very needy country. But God is a very awesome God, and it was a privilege to come alongside those who are already laboring here, and encourage, lift them up, and participate in the harvest. We arrived in Szabadka, a beautiful Hungarian City now located in the northern part of Serbia, awarded to that country after the treaty of Versailles. We were shown into a 19th Century style theater, and marveled at the architecture, decor, and style - what a wonderful place to play a concert! As the time got closer to the start, it became apparent that not too many people would show up. We discovered that the concert was hardly publicized at all, and by start time, only seven people had come. Fighting the temptation to be very disappointed, we pressed forward into the event, trusting God that whoever was supposed to be there was there for His purposes and His glory. The Concert itself actually went off without a hitch, and the seven who came were very appreciative that we had not held back - and it was true - we sincerely tried to give them everything we would have if there had been 700 in attendance. But it had been tough, fighting off the urge to "think" about all the effort, set-up, equipment, time, etc. - and for only seven. But then we started to get more information. 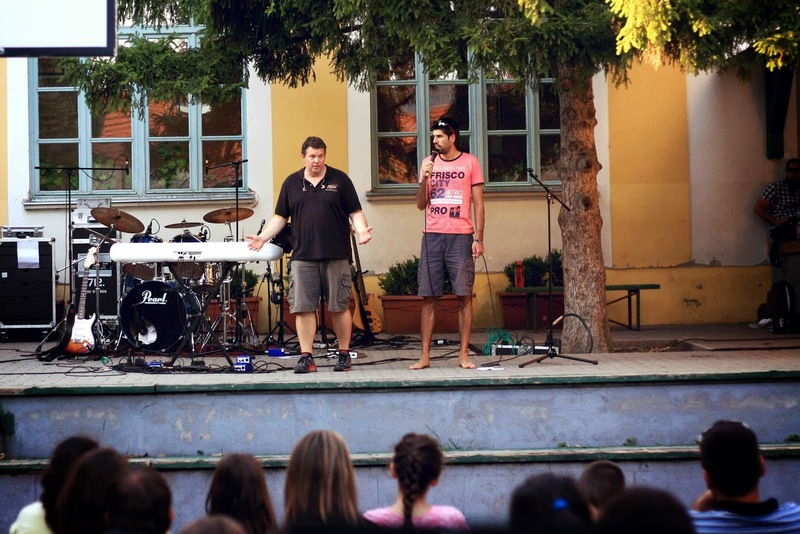 Our Serbian Pastor-Host, Zoltan, encouraged us about Jesus leaving the 99, and putting in an all-out rescue effort into saving the 1. The entire evening The Lord had been impressing this story upon him. …and she heard applause - a lot of applause - not the kind that comes from seven people scattered throughout a hall that seats at least 300. No, this was the sound of thousands. She literally turned around looking, and then stood there on the stage in front of the vacuous space, captured by that sound, and wondered, "Am I imagining this, or is this real? Is there something wrong with my monitor mix, or God, are you trying to tell me something?!" She got her answer later that evening when The Lord led her to Hebrews 12:1. What she heard on the stage that night was the raucous encouragement that comes from a crowd in the stands of a great stadium cheering on the racers who are running with endurance the race that is set before them, fixing their eyes on Jesus, who is the author and the perfecter of their faith. Situated along the Danube, Szentendre is a lovely, quaint town with cobblestone pathways, old buildings and Hungarian culture. To put it another way, it's a tourist area. We could tell that because of all the different people we saw and heard from other countries, including our own! The street was lined with all sorts of Hungarian souvenirs which are always a treat to look at. Our concert was held in the courtyard of a school. We arrived late morning to have a look around. Since the school wasn't being used due to summer vacation, a Church was hosting an English Language camp which is a VBS style day-camp where people send their children to learn some basic English. Its a fun day for kids with all sorts of activities to help them learn some English. After lunch, however, part of our youth group performed some children's action songs for the 100+ kids. We then set up for our evening concert. Parents of the children are invited to come to the concerts too. Fliers were posted all around the town inviting people to come, so we get a got quite a variety of people coming to this concert! The Concert went extremely well - Bill and Michelle shared their testimonies of brokenness, and the audience literally clung on to every word. Once again the music and the dance pulled people in from off the streets, and people were given an opportunity to hear the gospel and respond to The Lord. But as with so many of our events, the real action takes place after the concert! Jeremy (Hungarian Translator and teen evangelist!) was able to relate to some older teens about growing in Christ and relying on Him. While Jeremy was sharing, one teen said he had to go catch a bus home so, Jeremy followed him to the bus stop so they could continue talking. On their way, someone they didn't know and hadn't seen, came up behind them on his bike, skidded the tires, and started swearing and cursing at them (Jeremy lived in Hungary for six years and can speak fluent Hungarian). Jeremy slowly turned to the guy on the bike, stretched his hand out slowly, and began blessing him in Jesus name! The man began to look befuddled, and then almost afraid, and he turned tail and biked off. The power of blessing those who curse you, as the Bible says, has amazing effects! Amy, one of our dancers, spoke with two boys that had attended the English language camp. She talked about receiving the free gift of eternal life through Jesus Christ, and they both said yes, they wanted that. One boy asked her to pray about the fact he wasn't good in math. He seemed to be really happy about the conversation, the prayers and Bible verses she shared. Mary and Jeremy - were talking with two boys but then about 6-7 more kids gathered around. Some were workers and some kids from the camp. The workers told them, "We're so impressed with the way your group is so "alive", "so in love with God" and so "effective". Mary led them in a prayer about giving their dreams, hopes, and futures to Jeses. Based on their questions, she then felt led to ask if they knew where they would go if they died. They didn't know for sure. She shared verses from the Bible demonstrating how you could know. By the time she left, and had prayed for them again, all 6-7 said they knew now that they were followers of Jesus. This was the beginning of the camp so Mary encouraged the teen leaders that they can impact the kids for the rest of the week. Crystal (another of our dancers) talked with two girls around age of 12. She asked if they knew God and if they were certain of their eternal destination. They said no, so she explained from scripture how they could know God and be certain and they prayed and surrendered to Jesus. 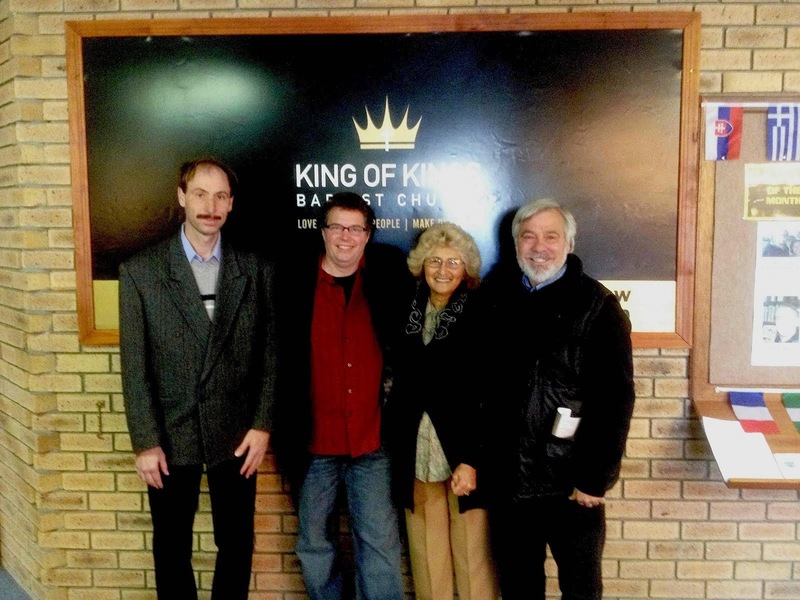 Bill Trimper got to visit a woman named Monica that he had led to Christ five years earlier! She was working in one of the souvenir shops then, and still does. Monica was so excited about seeing Bill again and through interpretation shared she is growing in The Lord. It's quite an interesting story on how it came about: Monica was given a scripture coin five years ago by a different and unrelated (well, obviously related in the Lord! ), which was about a month before Bill Trimper came into the shop and started sharing two scriptures with her. They were the very same scriptures on the coin! So she ran and got the coin from her purse to show him. One was John 3:16. So Bill shared with her further on what those scriptures meant. She accepted Christ that day and now five years later she is growing and flourishing in The Lord!